I want to add because I’m asked so often, Prismacolors are no longer on my personal supply list, but you can still create beautiful work with them if you don’t mind quality control issues (pencils breaking just about every time you sharpen them). See my comparison of Prismacolor Vs Polychromos video here or my Prismacolor vs Caran d’Ache Luminance video here for more information. The paper I choose is going to depend on which methods of blending I plan to use. Stonehenge white or fawn The one sold in pads is smoother than those sold individually, good for graphite, not great for colored pencil, so I use the larger individual sheets and cut them to the size I want. I really like Stonehenge when I’m doing portraits or something that I want super soft blending on. I don’t love it for lots of sharp detail, for that I use the Fabriano. I get this from dickblick.com, this one is always WAY overpriced on amazon. Fabriano Artistico extra white Hot Pressed 140lb watercolor This is an overall awesome paper. Great for colored pencil or graphite. I get this from dickblick.com, this one is always WAY overpriced on amazon. Powder blender requires a non-absorbant paper to work on. Your regular cotton papers are not going to work. You can mix OMS blending with powder blender on these papers too. Gessoed watercolor paper (like the Fabriano Artistico listed above) that I have coated with several layers of gesso. I use my airbrush and thin the gesso (Liquitex) with water so that it is about the consistency of milk. Uart sanded paper – 500 I get this from dickblick.com, this one is always WAY overpriced on amazon. It’s now also available from ProArtPanels.com premounted. Fisher400 Sanded Paper I get this from ProArtPanels.com pre mounted. This is my favorite surface when working with powder blender. Kum long point sharpener This sharpener is a two parter. You first sharpen the pencil to a long point, but the end will have a lump. Then you use the other side which brings it to a very fine point. This one seems to work great for some pencils but can be temperamental. I didn’t love it when I first got it, but now I find myself using it all the time. 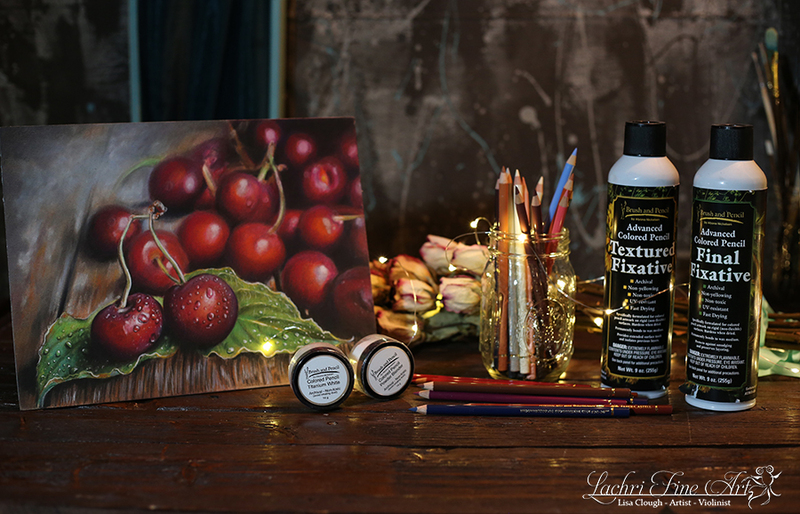 Touch Up Texture mixed with Colored Pencil Titanium White These are the two products that I mix together to get white highlights. They are archival unlike most other methods of painting or drawing white highlights. They are the only products like this specifically made for colored pencil. Last I checked the seller’s website still didn’t take international orders. These two products can be shipped internationally though if you email them. See how I use these at the end of this video. X-Acto School Pro Electric Sharpener This is my current go to electric sharpener. It has a huge bin for shavings which I LOVE! I regularly airbrush my backgrounds for my colored pencil work. These are the supplies I use for that. Holbein Airbrush Paint This is currently my preferred airbrush paint. It flows through my airbrush beautifully without clogging. The finish blends perfectly with colored pencil. You can’t easily tell which areas were colored pencil and which are airbrushed. Createx airbrush Paint I don’t often use this paint anymore because it needs to be thinned quite a bit to flow through the airbrush. The finish of this paint is very much like the Holbein, it blends perfectly with colored pencil. Frisket This is what I use to block out areas of my subject that I do not want airbrush paint to cover. It is essentially a large piece of transparent low tack tape. See how I use it with masking fluid in this video. Winsor & Newton Masking Fluid This is a liquid that I paint over areas of my subject I want to be protected from the airbrush paint. See how to use it in this video. The links on this page are my amazon affiliate links, but make sure you price check. Sometimes it’s cheaper to buy from an art store. Sign up for the top Colored Pencil Magazine worldwide! Issues are available in print or digitally! 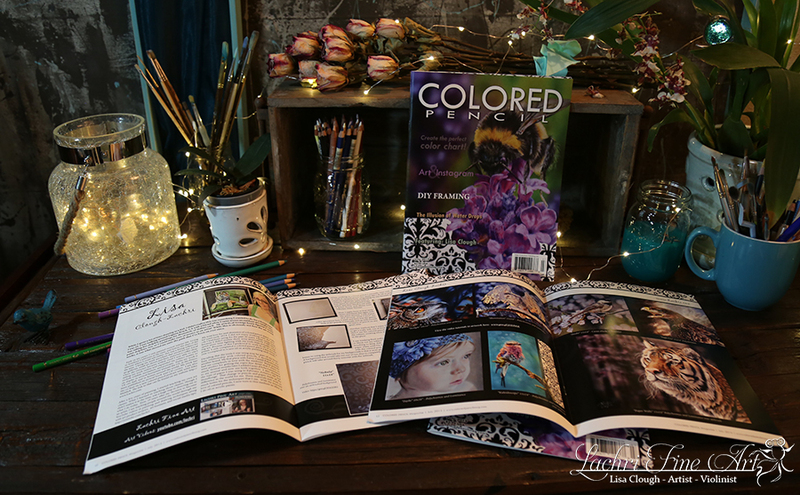 This magazine is full of tips, tutorials, product reviews, and amazing colored pencil art! 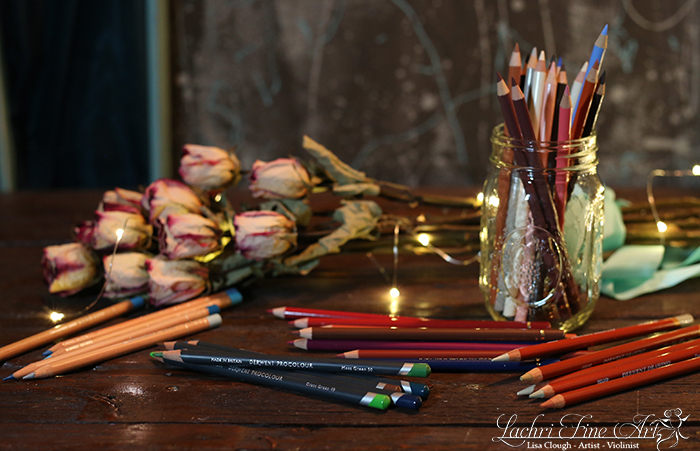 Powder Blender is a totally new way to blend colored pencil! You want to work on either gessoed paper or sanded paper (my preference). These products allow you to layer quickly and blend the pencils creating a soft look similar pastels, but with less mess! Powder blender works best with oil-based colored pencils like Faber-Castell Polychromos. I save my wax based pencils for my final layers that won’t need blending. 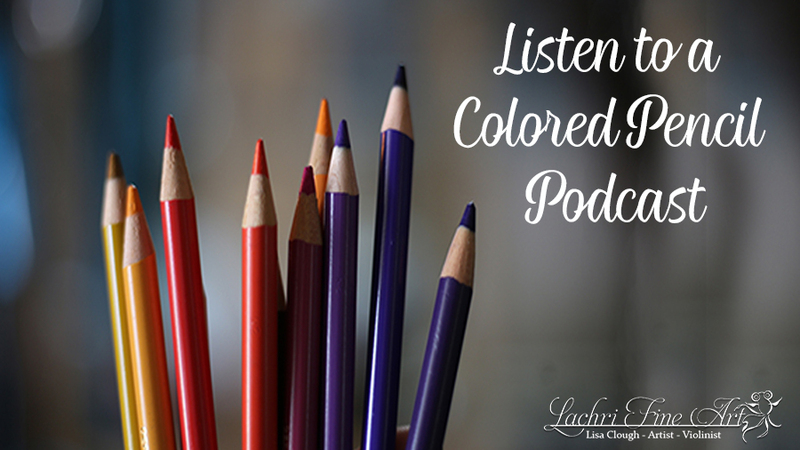 Join John Middick and I every week for a new episode of the Colored Pencil Podcast! Get tips on colored pencil, business advice for artists, colored pencil artist interviews, and product reviews! With over 100 episodes available, we can keep you company while you draw for weeks! Take your time and layer with a light hand. If you start off pressing too hard with your pencils too soon in your layering process you can damage the tooth of the paper making it difficult to get future layers to stick to the paper!